We also have very large print developing system which enables us to realize rolls whose pictures continuously change. The combination of these two factors (width of the paper and developing of the print) let us have very many printing variants. We have developed a product called “Kolorà” in collaboration with a thermal paper supplier, a worldwide market leader of the product, and a consultant. It is a roll on which pictures to color, cut and swap or collect are printed on the back. Besides its being a game, it is our wish to make end users become aware of a very important aspect. All the types of thermal paper used to manufacture sales receipts, with the exception of rare cases, contain chemical products, in particular Biphenyl A, which is among the prohibited products to be used for example in baby bottles and toys, according to a European Community Directive. “Kolorà”, in contrast, uses a type of thermal paper completely free from substances which can be harmful and is so harmless that you can let your children play with it safe and sound. 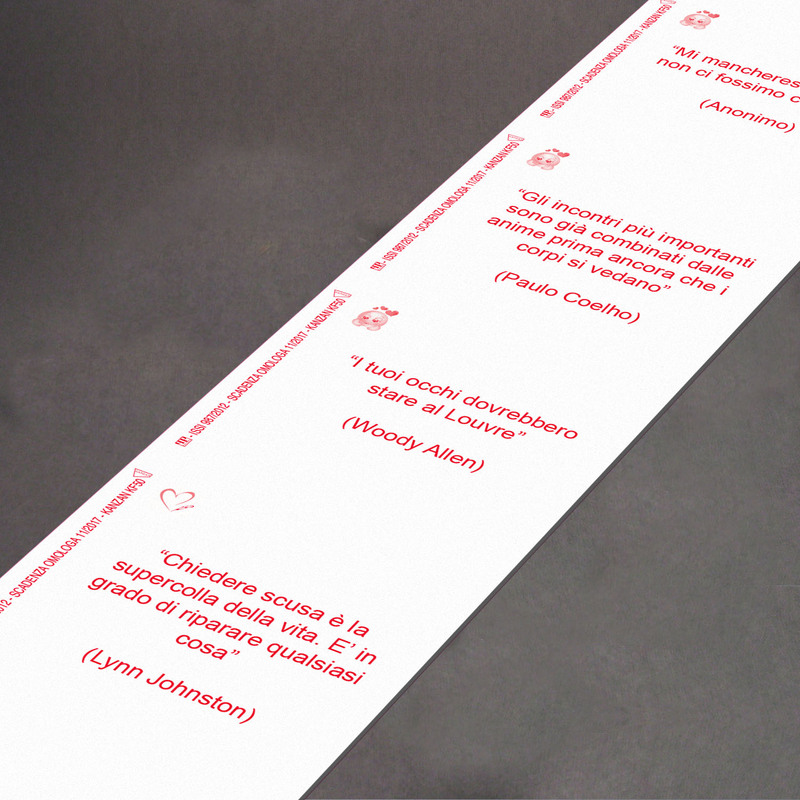 We can print famous aphorisms, quotes, sayings, jokes on the back of sales without increasing costs. It is a likable and original idea which costs nothing and encourages end users’ curiosity.